Lewis Hamilton is going vegan. The three-time Formula 1 world champion announced he was taking up the plant-based diet before the Singapore Grand Prix earlier this month. His reasons behind the change are commendable but could such a significant alteration to his diet at this stage of the season compromise his racing edge? Is it wise to switch diet during a tense title battle? 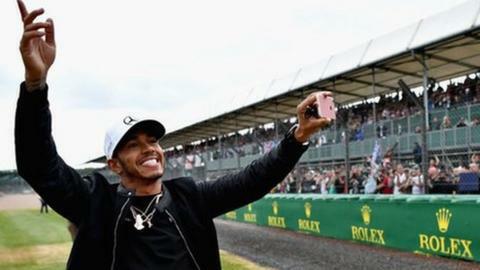 With three wins from his last three races, Hamilton has just started to take control of the drivers' championship as he pursues a fourth world title. He is 28 points ahead of nearest rival Sebastian Vettel with six races remaining but his decision to make a pretty significant change to his diet could hamper him. Dr Rob Child is a performance biochemist who has worked with McLaren and Ferrari in Formula 1 as well as Tour de France cyclists and Olympic athletes, advising them on diet and nutrition. "I think it is a bad idea to switch mid-season," he told BBC Sport. "Quite often changing a diet does throw up some issues that take some time to resolve. Ultimately during that period his performance could be compromised. "It is a close battle in the championship and you are looking to gain every advantage you can wherever possible. Such changes are made during the off season with the athletes I work with rather than during the season." So could Hamilton lose his 'racing edge'? One of Hamilton's strongest attributes as a Formula 1 driver is his aggression. The Briton knows when to push a rival hard but not to the extent that he compromises his own drive. Well, more often than not anyway. It is his ability to blend caution with aggression that has enabled him to calmly claw back Vettel's early season advantage and take control of the title battle. However, in the short term it would seem, that aggressiveness could become compromised by any change of diet. "An additional issue with a vegan diet is that it reduces free testosterone levels," added Child. "This hormone contributes to aggression, which can be beneficial in racing and also helps muscle recovery and strength. A large drop in testosterone could reduce Lewis' 'racing edge' and could slow his recovery after training and races." Saturated fat provides you with cholesterol, important in the production of testosterone. Vegan and vegetarian diets tend to be lower in saturated fat than meat-based diets with a small number of non-animal based foods such as coconut and avocado providing saturated fat. BBC iWonder: is it safe for me to go vegan? However, Heather Russell, a dietician for the Vegan Society, says: "Studies have shown that that vegan nutrition can support normal testosterone levels. "The balance of fats in our diets influences the level of cholesterol in our blood. Saturated fat increases cholesterol, whereas unsaturated fat reduces it. "Research suggests that vegan diets tend to be lower in saturated fat than other dietary patterns, which helps to explain why they have been linked to lower cholesterol, and lower rates of heart disease." However, fatigue could also become an issue for Hamilton in the short term as his body adapts to a diet change. "It is very difficult to maintain body iron stores if you are a vegan athlete," said Child. "Iron is important in terms of oxygen transport from the blood into the muscle. If iron levels are compromised again that could result in him feeling more fatigued after or even during races. "If not in the immediate term - as I assume his iron and testosterone levels are fine at the moment - but over the course of maybe a month then they could certainly drop in response to taking a vegan diet." "All of those things are going to potentially compromise his race performance." Hamilton is walking down a path a number of high-profile athletes have already taken. 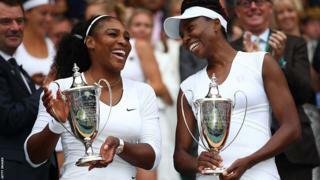 Tennis stars Venus and Serena Williams both went fully vegan in 2012 and a few months later they combined to win the doubles at the London Olympics. Novak Djokovic has adopted a mostly vegan lifestyle and last year opened a vegan restaurant. Bournemouth and England footballer Jermain Defoe has also transitioned to veganism after reading that the diet could help the 34-year-old extend his playing career. There are also several snooker players who are vegans. Like F1 drivers, they have to concentrate and be alert for long periods of time. "The amount of fruit I am having now has really given me a big boost, especially with practising," said former world number one Neil Robertson, who switched to a vegan diet in 2014. "During long hours of practice I don't feel tired. I find it much easier to maintain concentration from what I had previously. I don't feel lethargic or tired anywhere near as much. "Lewis Hamilton will benefit greatly, especially long term as well. It seems to be that athletes on a plant-based diet are extending their careers a lot longer than people would think. There are people in their 40s, 50s and even 60s doing things that they just shouldn't be able to do. "It is really good of him to come out about it as well. When you have arguably the best F1 driver in the world advocating it and giving it a go it is great for everyone. He is inspirational and an idol to a lot of people." Fortunately for Hamilton, as a driver for one of the best teams in Formula 1 he will be guided by nutritional experts who will no doubt prepare meal plans to minimise any potential side effects of a dietary change. However, they will still have to overcome some pretty tricky challenges. One of the most significant of those will be ensuring he takes on enough Omega-3 fatty acids and in particular those that are found almost exclusively in fish. "One of the key things is provision of the long chain Omega-3 fatty acids and really they only come from oily fish such as salmon, fresh tuna etc," added Child. "These acids have a fundamental role in brain function and information processing, which are skills that he tests to the limit when he is racing a car. The fact it will be very difficult to obtain those from his diet isn't such a good thing looking at his mental performance side." There is, however, an option for Hamilton. Seaweed contains both EPA and DHA, albeit in lower quantities. While that suggests Hamilton would likely need to eat a significant amount of it to get close to the amount provided by fish, he could also reach the level by using algae supplements. "Vegans can obtain ALA, the essential omega-3 fat, by including a really rich source in their daily diet, such as walnuts, ground linseeds, chia seeds and hemp seeds, and using vegetable (rapeseed) oil as their main cooking oil," adds Russell. "Although it's not thought to be an essential part of a vegan diet, long-chain omega-3 fats called DHA and EPA can be obtained through microalgae supplementation." The right or wrong choice for Hamilton? The timing of Hamilton's dietary change may not be ideal but there are plenty of high-profile athletes who have successfully transitioned to a vegan diet, thriving even. And while several studies suggest testosterone levels are lower in those on a plant-based diet than in those on a meat-based one, research by the British Journal of Cancer suggests a vegan diet actually increases them. That means Hamilton could ultimately come back with even more of an edge. Goodbye Malaysia, hello Vettel recovery? Is Hamilton best qualifier in history?